Perhaps the most frustrating thing about running is trying to re-establish old form, get over setbacks such as injury or illness, or worse still chronic problems such as long term or repetitive fatigue or injury. 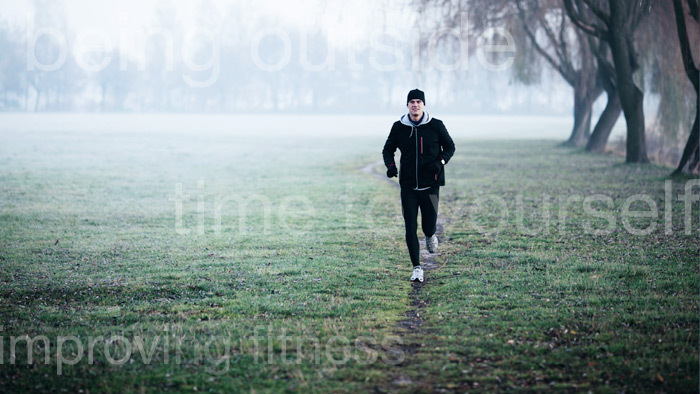 Running is one of the most demanding sports for our bodies with the repetitive impacts and risk of any imbalance being exacerbated by the cyclic action of overcoming gravity on the body with each stride. However, running can also be the most rewarding through the simplicity of putting on minimal kit, the freedom to roam where you wish, and the relaxation and enjoyment to be gained when fit and running well. When you start in sport your training and fitness develops gradually and you naturally build strength and resilience along with your training volume. However, when things go wrong it is common to retain the mindset of past training and racing, along with the feeling that if it worked before your body and mind can do it again. This may be true, but if you have had a long time off, have been struggling for a while, and have recurring problems, it may take time to build up again. It is important to remember you can only start from where you are and not where you want to be. It is important to realize a few things to avoid falling into or continuing a repetitive cycle of injury, illness, or fatigue. Once you have your list it will probably be easier to motivate yourself to work with your current fitness levels and not rush back into things that have caused your recent problems. This isn’t to say you don’t have targets and goals. You can be happy in your progress knowing there are many things you can enjoy about your running now and also accept this is the best way to meet your longer term goals. You will have an ultimate goal, which is your dream and some interim goals that you can see yourself achieving in the shorter-term. Maybe in the next month or few months; it is best not to put fixed time limits on these at this stage since you need to work with your body and lifestyle without rushing. Since you now have an idea of what you can achieve you can work out what needs to change and hence some sessions that will help you meet your targets. For example, If you have been unable to train properly for a while you may not have the endurance to run for a target length of time, particularly as your race pace is likely to be slower. One session would therefore be a longer run with the aim of building up to a target time over the next few weeks. It can be associated with one of your short term goals as well. You may have found that your ability to run up hills has disappeared or is not what you would like. If so, your second session could be some hill repetitions that you can build up over the next few weeks. Starting with a few short hills and building to longer and more hills or faster short hills as your fitness builds. This could well be the most important; it is certainly the key to getting back in shape. It also means finding a level of training that allows you to recover, which may be complete rest initially. What you need to do is find a training run that you can do that will allow your body to recover between the harder sessions. It is important to build training volume for many reasons but you can’t do this if your body never recovers. If you have run a lot in the past, your easy running would have been something you understood intuitively and managed within your normal training. However, after a setback it may not be so intuitive. Your running will have to be a lot slower and shorter. It is a good idea to use time to measure your runs rather than miles or kilometres; in this way you will not be drawn into comparing what you used to do with what you are doing now. It is also a good idea to use heart rate monitor, at least until you get back on track, although you can use your judgement of perceived effort if you prefer. If you don’t train with a heart rate monitor it is worth considering starting. Heart rate monitors are very affordable nowadays, they don’t need to be complicated but can provide an invaluable indication of how hard you are working. Both to make sure you are working hard in the hard sessions and to ensure you don’t overdo it when you should be running easy. Once you have these things in place you can build your fitness safely. Set out a weekly plan with the two harder sessions on convenient days and fill in the rest with recovery runs and rest days. Build volume gradually and be prepared to take a step back if you get too tired. By monitoring your fatigue (how tired you feel) and your resting heart rate each morning you can gain an indication of how you are recovered from the previous day. If you are over tired you can do a recovery run or rest, if you are rested and it is a planned harder day you can do the hard day and then take the recovery days to get back to your rested level for the next hard day. Take it easy and build gradually, listening to your body and the objective measures are key. Be consistent and prepared to step back a bit if you need to. Most importantly enjoy all the things you love about running.